There are 55 species of birds that spend their summer months breeding in the St. Croix River Valley and overwintering in Costa Rica. Of the 55 species, 19 are considered conservation priorities. 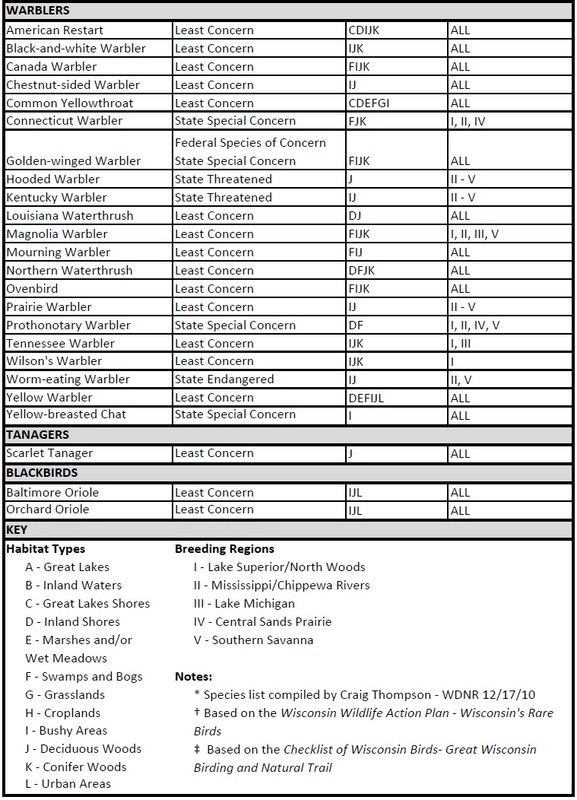 St. Croix Watershed neotropical migrants are listed below. For more information about these birds please visit All About Birds published by the Cornell Lab of Ornithology.